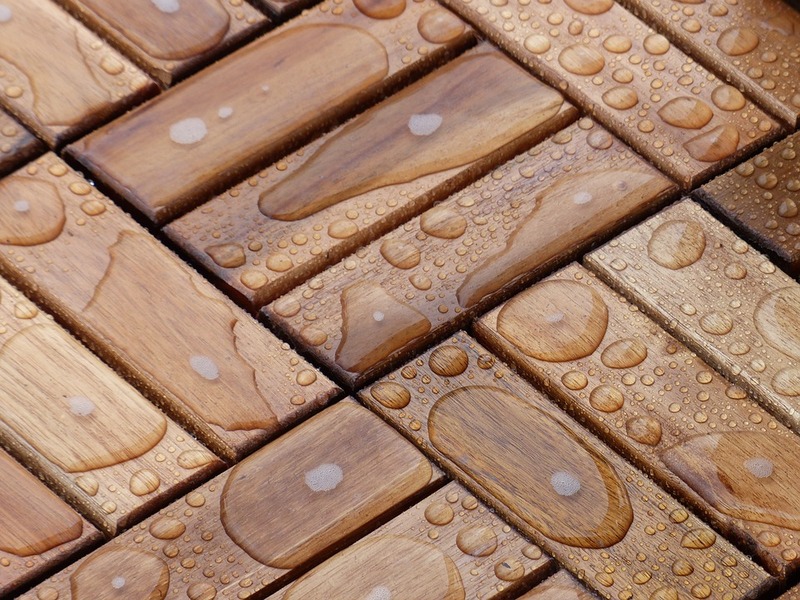 Moisture in wood flooring is something that unfortunately happens in many homes. While it can be expected that flooring will inevitably have some exposure to moisture due to spills or even humid temperatures, the flooring should not hold too much or too little moisture, as this can cause irreparable damage to the floor. You want something that is going to stand strong and stay in great condition for many years to come. The moisture in wood flooring can vary depending on the climate that the flooring is in. Generally, those that live in coastal regions will have a higher moisture content throughout their flooring materials. The RH for the flooring refers to the moisture held within it. These coastal areas range in RH from 68% to 73%. Areas that have less moisture and are not by water areas have less RH than the coastal areas, coming in at around 40% to 45% moisture in the flooring. The content within the boards usually does not exceed a 10% range, which is ideal. Too much moisture inside the floor boards can cause them to buckle, bend or fold in. This is when the flooring needs to be replaced and redone. When it comes to keeping the flooring at its best, reducing the amount of moisture found inside the home is beneficial. This leaves the flooring with less to soak up. Additionally, other flooring options can be used besides wood to give the home options that are easy to clean and look beautiful, as well. Speak with a qualified professional flooring contractor regarding the wood flooring you’d like to have installed in your home. They can also ensure that the right flooring is used based on the moisture content of the area. To reach a specialist with Contractors Today, you can fill out the form on this page or you can give us a call for fast service. When you need only the best, we’re here to help.